Siobhan Philips was shot by her partner in October 2015. THE FATHER OF a woman who was shot alongside Garda Tony Golden in 2015 has said he is ”extremely disappointed but not surprised” at the content of a report into the incident. Seán Philips’ daughter Siobhan was shot by her partner Adrian Crevan Mackin, who then turned the gun on himself. Both Garda Golden and Mackin died from their injuries. A Garda report into the incident, which happened in Omeath in Co Louth on 11 October 2015, published yesterday found that two domestic violence incidents involving Siobhan were not properly logged on the Pulse system by gardaí. Siobhan has a brain injury, lost one eye, has had extensive facial reconstruction surgery, and has had to learn how to walk and talk again. She has launched a damages case against the gardaí. Her father had contacted gardaí to express concern about her in September 2015. Seán Philips today released a statement on behalf of his family. It states: “Not one of the issues that we have consistently raised has been adequately addressed in this report. In fact this report only serves to cause further distress and trauma for our family. Last month, GSOC launched High Court proceedings to obtain transcripts relating to appearances by Mackin before the Special Criminal Court. The statement notes that GSOC sent the family a letter this week to apologise “for not having made better progress and reiterated to us that the ‘resourcing of the investigation and our office in general is causing great difficulties and hampering the progress of the investigation’”. “This is simply not good enough. The Government has a responsibility to ensure that GSOC is properly resourced,” the statement adds. 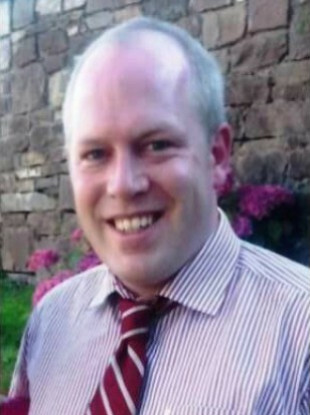 Peter Madden, the family’s solicitor, said the report “confirms both our long-held view, and that of the family, that only a public inquiry can get to the truth of the tragic avoidable events in Omeath in October 2015”. TheJournal.ie has asked GSOC for comment. Commenting on the report, Minister for Justice Charlie Flanagan said the shooting of Garda Golden and Siobhan Philips was “an abhorrent crime”. “Conscious of the gravity of this matter and the concerns expressed by the family of Ms Siobhan Philips, as well as by local public representatives, I have taken the decision in the public interest to publish this report. “The report is subject to a number of minor redactions for necessary legal and security reasons. “I have been assured by GSOC that the publication of this report will not have any adverse impact on the independent investigations underway and we should not prejudge the outcome of those investigations,” Flanagan said. Email “'Not good enough': Family of woman shot by garda killer says GSOC is not properly resourced ”. Feedback on “'Not good enough': Family of woman shot by garda killer says GSOC is not properly resourced ”.